Oh the places you’ll go (with a career in science)! Although STEM (Science, Technology, Engineering, and Maths) related skills are recognised as being essential for the jobs leading today’s global economy, to many the prospect of a STEM career may seem rather dull. Well, here at Australia’s national science agency, STEM professionals abound… and we’re here to tell you, the work they do is far from boring! On the contrary, it’s cutting-edge cool. And, the geographical places a STEM career can take you are just as exciting. Here are the stories of two of our scientists, and the places they went thanks to a STEM career. 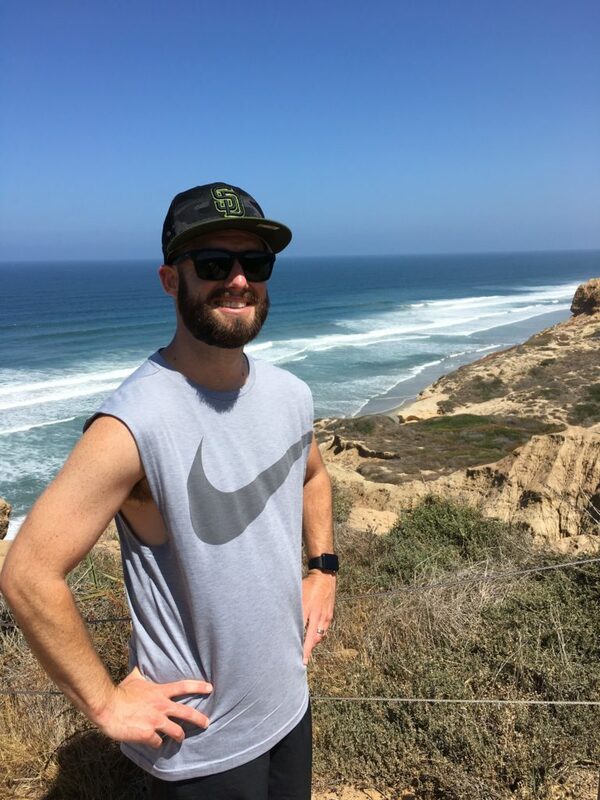 Lee Hubble – exploring local hiking trails at Torrey Pines State Natural Reserve, San Diego, CA, USA. Dr Lee Hubble developed a curiosity in science from a fairly young age. He still remembers the excitement of getting his first chemistry kit from his parents around his 10th birthday, and eagerly setting off to work through each experiment one-by-one. However, ironically it was his love of basketball that really sent him down the science path. He grew up in a small country town in Western Australia, where his basketball coach doubled as his high school science teacher. Lee admired his teachings both on and off the court and his knowledge and passion for science had a lasting effect. This interest, coupled with an analytical mindset, steered Lee towards a PhD in Chemistry with a Masters in Forensic Science, and eventually landed him a job researching the use of nanomaterial-based chemical sensors for point-of-need (on-the-spot) testing. Working as a Senior Research Scientist in a Sydney-based Nanosensors and Systems Team, Lee develops chemical sensors for applications ranging from environmental monitoring and healthcare diagnostics. His work has provided exciting opportunities to collaborate with international teams, such as tuberculosis experts at CSIR-India in Chandigarh, India and Nanoengineers at The University of California, San Diego (UCSD) in the United States. As a Visiting Scholar, Lee worked with the UCSD team and their Center for Wearable Sensors in 2016 to develop a radical wearable chemical biosensor technology called lab-on-a-glove for the detection of chemical threats. Lee’s scientific research efforts have earned him many awards, including our 2015 John Phillip Award and 2017 Research+ Julius Career Award, the most recent of which has funded a return visit to UCSD where he is currently working on developing next-generation wearable chemical sensors for the non-invasive analysis of biofluids for health and biomedical applications. “You learn and grow in ways you couldn’t ever imagine and that is the exciting part!” Lee said. 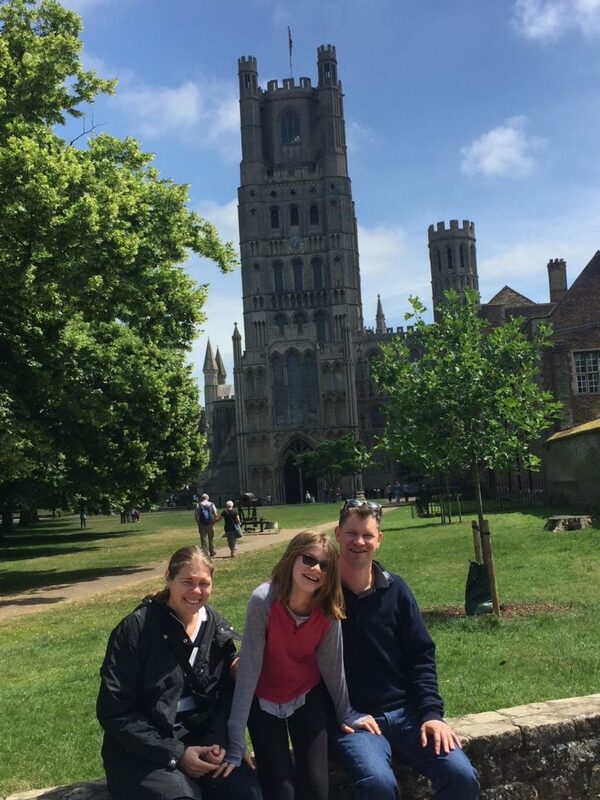 The Best family taking in the sights of historic Ely Cathedral outside of Cambridge, UK. Dr Adam Best was always fascinated by engineering and science. But although he enjoyed these subjects at school, he had no firm plan for what a future career in the field might look like. Even after earning an A in one of his Year 12 Chemistry reports on Pb-acid batteries, little did Adam know his future would be working in batteries! His curiosity led to a PhD in Materials Engineering and then a career as a battery specialist, where he now works on multi-million dollar projects developing next generation energy storage solutions. Adam’s team is world-leading in developing electrolytes based on ionic liquids – a technology used for making the lithium batteries that power our laptops, mobile phones and electric vehicles safer and more efficient. The team is constantly developing better electrolytes to create more efficient lithium batteries. One day we might see their work in mobile phones that stay charged for weeks rather than days. Recently Adam’s efforts were recognised with a Winston Churchill Memorial Trust (Australia) fellowship. The award has taken him to the Münster Electrochemical Energy Technology (MEET) lab at the University of Münster in Germany where he has worked with a team identifying interesting decomposition products of ionic liquid electrolytes. Moving onto Cambridge University in the UK, Adam explored the Faraday Institute and the Faraday Challenge to understand how Australia can build a stronger battery research community and further develop a battery materials industry here. Adam will be back in Australia shortly, but not before a quick stop off in Kyoto to attend The 19th International Meeting on Lithium Batteries (the Lithium battery Research Industries’ answer to the Olympics), where it was announced that, along with some of our fellow Australian battery specialist colleagues, we will host the 21st International Meeting on Lithium Batteries in Sydney, in 2022. Congratulations! Today is your day! Your mountain is waiting. So… get on your way! With security, skills and a salary – ka-ching! Go on, give one a stab!